In honor of my favorite president–Mr. 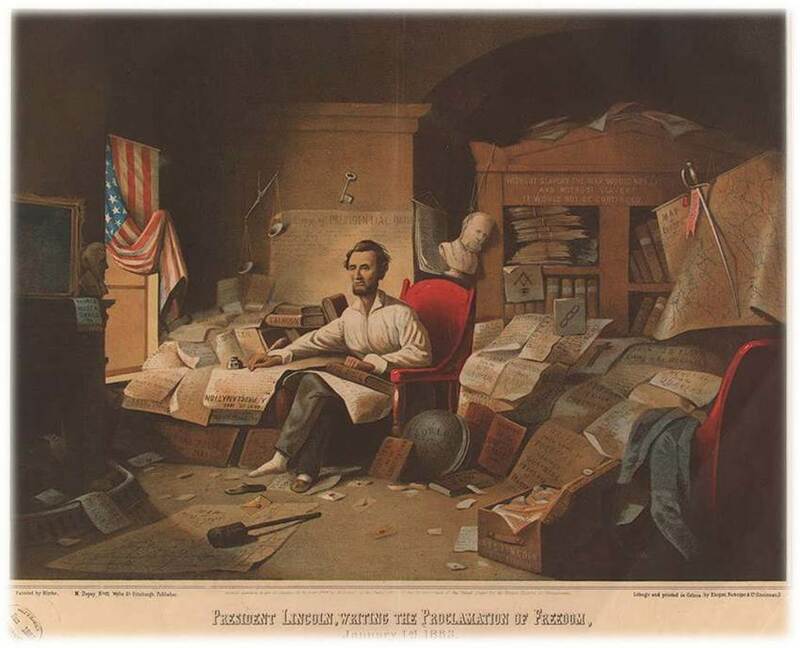 Lincoln–here is an activity that gives student historians practice dissecting primary sources, extracting meaning from them, and communicating that meaning in a coherent paragraph. In commemoration of Black History Month, the subject of Lincoln’s words is slavery. 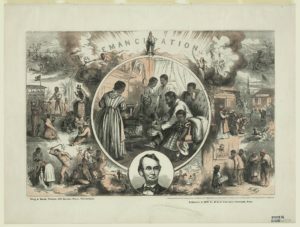 In celebration of both Black History Month and President’s Day, here is an activity that asks students to wrestle with President Lincoln’s stance on slavery. Lincoln is known as the Great Emancipator and the liberator of the slaves. However, his position on slavery was much more complicated that those labels imply. I have done the following exercise with high school students in an American history class when we are studying the Civil War. This is a challenging exercise so students should already have experience with primary source interpretation. Also, you should have already defined the terms synthesis and inference for your class. Provide students with three documents that reveal Lincoln’s views on both slavery and racial equality. Lay out the historical context of the Lincoln-Douglas debates. Ask the students to jot down a couple sentences that describe Lincoln’s views on slavery and racial equality as they are reflected in this document. Ask students to share their responses and ask them to provide specific evidence from the document to support the conclusion they reached. Discuss Lincoln’s goal in this debate and who his audience was, and ask students how those things might have influenced what Lincoln said. Repeat this process with Lincoln’s letter to Horace Greely and the Emancipation Proclamation. (hint—the language in the Emancipation Proclamation is very difficult, and I usually go through that paragraph by paragraph and help students decipher Lincoln’s legalese. Finally, ask the students to synthesize and infer by answering the following question in a brief paragraph. To support their response, the students should make a specific reference to Lincoln’s views in each document. and racial equality evolve from 1858-1863. 4. This is a challenging activity and I generally give students a formative rather than summative grade. I have students exchange their paragraphs with their table partner, and then each person gives feedback on how to improve the clarity of the writing and the strength of the supporting evidence. Then I ask for volunteers to read their paragraphs out loud, and we discuss what kind of inferences the author made and how effectively he/she synthesized.